D. Joan Kaelber, age 84 of Cardington died Tuesday, November 20, 2018 at Marion General Hospital. She was born on November 12, 1934 to the late John and Ella (Williams) Thompson. Joan spent her whole life as a homemaker taking care of her family whom she was fiercely devoted to. She had driven school bus for the Cardington Schools for 5 years and enjoyed playing cards in her free time. Joan ‘s first husband was James “Jimmy” Ross who preceded her death. Joan married George “Vic” Nash in 1955 in Wellston, OH, and he preceded her in death on March 5, 1982. On September 26, 1983, Joan married her third husband, Olen Kaelber in Cardington and he survives in Cardington. 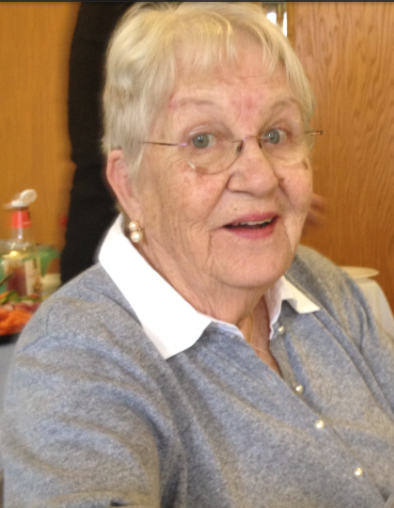 In addition to her husband, Joan is survived by her children, Mary Jo (John) Carroll of New Jersey and Bruce (Patricia) Nash of Cardington; 5 grandchildren: Josh (Lauren) Nash, Luke Nash, Charles (Megan) Nash, Betsy (Sean) McConnell and Hayley; and 8 great-grandchildren: Faith and Declan McConnell, Sophia, Lillian, Elanor, Kylie, Ryder and Colton Nash. In addition to her parents, her first and second husbands, Joan was preceded in death by two brothers and nine sisters. A graveside service will be held at a later date at Glendale Cemetery. Those wishing to share a memory of Joan or to express a condolence to the Kaelber family may do so by visiting www.gompffh.com.